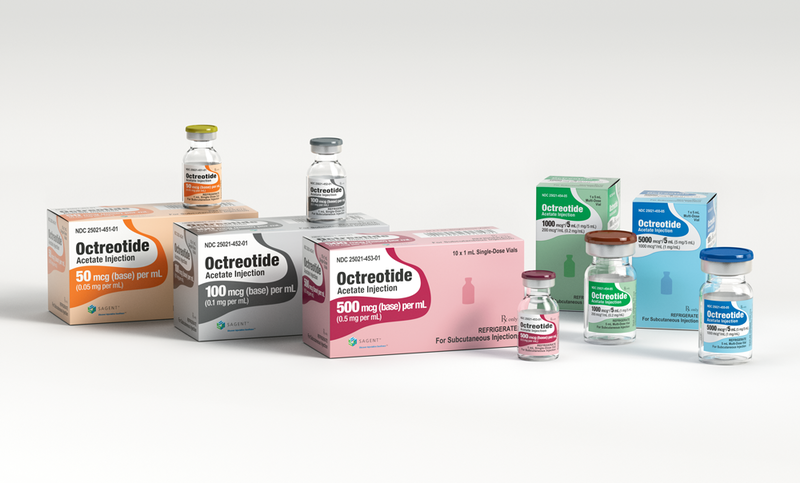 For single-dose vials, each mL contains 50 mcg, 100 mcg or 500 mcg octreotide (as acetate) and the following inactive ingredients: 7 mg sodium chloride, 2 mg glacial acetic acid USP, 2 mg sodium acetate trihydrate USP and water for injection USP, q.s. to 1 mL. 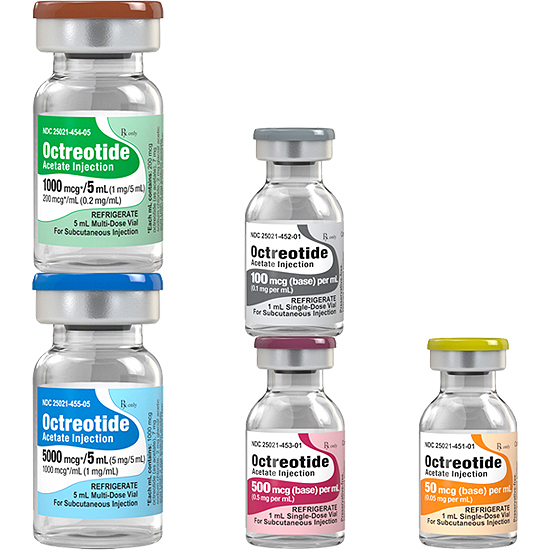 For multi-dose vials, each mL contains 200 mcg or 1000 mcg octreotide (as acetate) and the following ingredients: 7 mg sodium chloride, 2 mg glacial acetic acid USP, 2 mg sodium acetate trihydrate USP, 5 mg phenol USP and water for injection USP, q.s. to 1 mL.